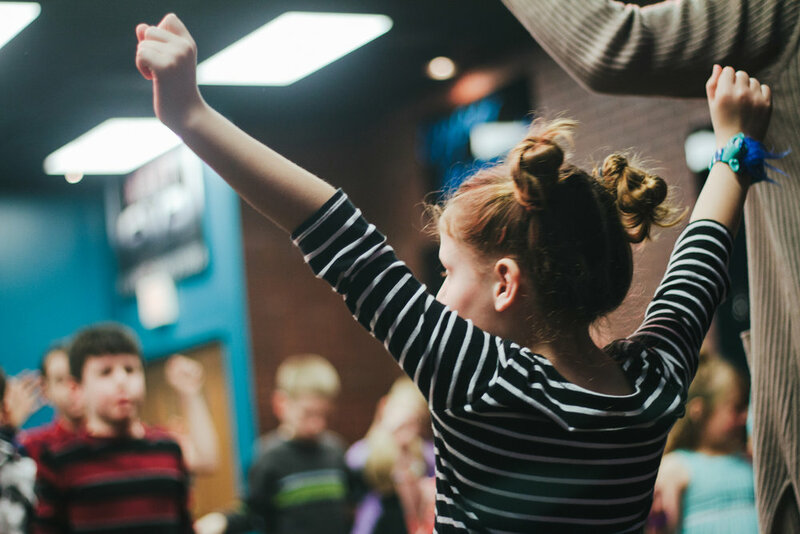 Destiny Kids is a ministry where infants through 5th graders experience a full worship service. We believe in an environment of prayer and worship while teaching the truths of God’s Word in creative and relevant ways. We would love for you and your family to visit Destiny Kids this Sunday. Join us for fun and experience a world where kids meet Jesus on their level! When you arrive at Destiny for the first time you will see our friendly First Impressions team members that will be happy to direct you to the Destiny Kids ministry area. We will meet you there. Please allow a few minutes for us to add you into our Check In system. At that time we will collect your contact information as well as important details about your child such as medical conditions and allergies. Then, you and your child will both get a sticker with a matching code. This sticker is what you’ll use to pick-up your child after the service. If for any reason we need to reach you during the service, we will send a text message to the phone number that you provide at check in. One of our nursery volunteers will make sure that all your child’s belongings are correctly labeled. Your diaper bag will be placed in the diaper bag storage area right outside the classroom for easy pick up after service. You may bring diapers, pull-ups, and extra clothes to class if needed. Due to known and unknown allergies we ask that you please keep all other food and drink items with you other than your child’s bottle. To avoid personal toys getting broken, we ask that you hang onto them during class. If a comfort toy or blanket is needed let one of our volunteers know, and we will make an exception! At Destiny, we have an area for moms to hear the message while also being able to provide for the needs of their child. Ask any Destiny Kids Ministry volunteer to direct you to a private area.